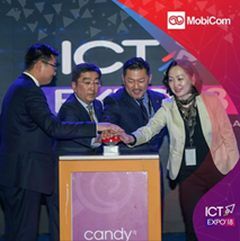 Ulaanbaatar, Mongolia, Nov 9, 2018 - (ACN Newswire) - On October 1, 2018, KDDI CORPORATION subsidiary MobiCom Corporation LLC announced at ICT EXPO held in Ulaanbaatar that it has launched the "Candy" Payment Card in partnership with major Mongolian bank XacBank. MobiCom and XacBank concluded a partnership agreement in September 2017, in which XacBank would issue debit cards designed for MobiCom's Candy e-money which rewards customers with Candy cash-back worth 1% of the value of each purchase. 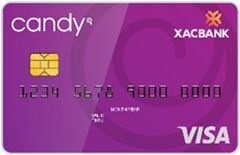 The Candy e-money service offers Candy cash-back reward when the card is used to pay for MobiCom services and purchases at Candy companies. Each Candy is worth 1 Mongolian tugrug (MNT), and can be used to pay for MobiCom services or purchases at more than 4,500 Candy merchants' online & offline shops. In March 2018, MobiCom introduced Candy Pay, a prepaid e-money service that provides users with easy access to their Candy account through a smartphone app. Candy Pay users can use the app at merchant eco-system within Mongolia, and use QR codes for payments as well. These and other features have attracted interests from the FinTech field. Through its latest partnership with XacBank, MobiCom will continue to improve its services while also keeping an eye out for opportunities to provide new telecoms and financial services. This is how MobiCom contributes to development in Mongolia. MobiCom is a total telecommunications service provider, supplying mobile, fixed line and satellite communication services in addition to a wide range of ICT services, and holds the largest market share of Mongolia's mobile subscribers. KDDI has invested in MobiCom from its founding in 1995, making ongoing contributions to development of Mongolia's communications industry. KDDI will apply its accumulated worldwide knowledge and experience to continue powering the growth of MobiCom and Mongolia's telecommunications environment. - Dec 2017 Received the Grand Prix at the "Entrepreneur Awards"
- Mar 2018 Honored by the Mongolian National Chamber of Commerce and Industry with the Chamber's Silk Road Award in the Best Socially Responsible Company category. - Sep 2018 Mutually connected with the KHUR Mongolian national population database, enabling simplified contractual agreements using fingerprint verification. 1. "FinTech" combines the meanings of "finance" and "technology" in reference to the application of state-of-the-art IT to innovative financial services and activities designed to create and explore new services. 2. Latest data, as of December 2017. *This press release is an abridged translation of the press release announced in Japan. At the ICT Expo on October 1, 2018: XacBank CEO Boldoo Magvan (2nd from left) and MobiCom CEO Tatsuya Hamada (3rd from left).